Taking a step forward in providing consumers with best-in-class products, A.O. Smith , the world’s largest manufacturer of water heaters has announced the launch of an innovative instant 3 Litre water heater. Commenting on the launch, Mr. Parag Kulkarni, Managing Director, A. O. Smith India, said “We’ve raised the bar in instant water heater category with this launch. Ours is the only instant water heater with the Blue Diamond® Glass Lining for the inner tank. 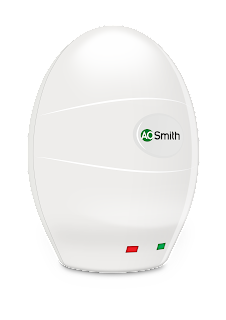 A. O. Smith became the first water heater company from the US to enter India in 2008 and offer an extensive line of residential water heating products designed for Indian consumers. With the focus on being global leaders in water heaters, A.O. Smith celebrates more than 144 years of integrity, innovation and most importantly customer satisfaction. A.O. Smith has invested USD 75 million in India so far and have a full-fledged R&D team.